Two days ago, Pulitzer Prize-winning investigative journalist David Cay Johnston spoke to my Independent Media class as part of his visit to Ithaca College. Admittedly expecting another snooze-fest lecturer, I was taken aback by the unabashed bluntness of the man, and the true vastness of his journalistic experience. I mean this guy was real — in every positive and negative sense of the word. A little too robust for the small chair he was seated ankle-to-knee on, I couldn’t help but notice how incredibly lax and — if we’re being honest here — uninterested Johnston looked. 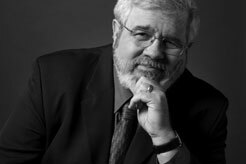 This couldn’t be the David Cay Johnston that authored such important and influential investigative works as “The Fine Print” and “Free Lunch.” Couldn’t be the man who meticulously followed every move of the LAPD (circa early 80s) and attempted to expose them for the corrupt force they were. And CERTAINLY couldn’t be the Pulitzer Prize-winning, Polk award-winning, every-journalism-award-that-could-be-won-under-the-sun-winning reporter that set a precedent for countless fledgling advocacy journalists to follow. But it was, in the flesh. Recounting his early experiences with everything from extreme, outright censorship to being spied on by the LAPD himself, Johnston has certainly had his fair share of life experiences. The thing is, it wasn’t necessarily the significant life-changing stories he told that were the most shocking. It was the way he told them that was the most gobsmacking. He remembered every single detail of every story he told, never leaving any important pieces out, describing every event like it happened yesterday. I couldn’t help but be mezmorized. This man is truly an encyclopedia, filled with knowledge on the secret, inner workings of our “public servants,” and the way mainstream media is snuggled closely in bed with government officials. He is undoubtedly an incredible individual — however much his larger-than-life personality and ego may get in the way. It’s clear he delights in recounting not only stories of his investigative work, but also of his past romantic experiences as well. I’ll admit, that was a little off-putting. But he did succeed in capturing the attention of a crowd of 20somethings with a 7-minute attention span, and I certainly applaud him for that. Currently serving as president of the national organization Investigative Reporters and Editors, Johnston is continuing to do what he does best while helping keep the spirit of true investigative journalism alive.